Reach millions of Catholics online. We can get your ads on 300+ top viewed Catholic websites with highly engaged audiences. We can make advertising simple for you, and work with any size budget. CatholicAdNet makes advertising to the family friendly market transparent and profitable. CatholicAdNet is results oriented and you only pay for actual viewable impressions. We have great CPM and CPC rates and have real-time optimization and stats to maximize your ROI when advertising. 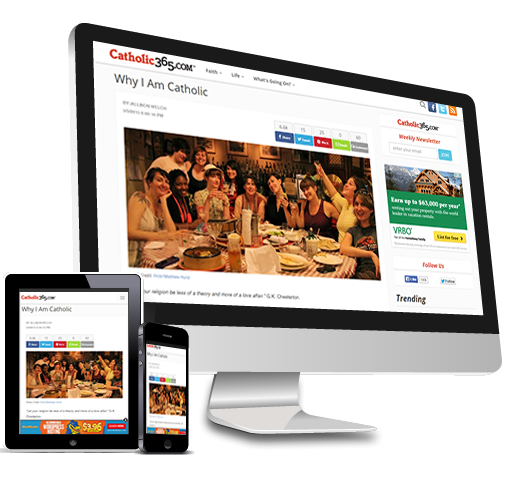 CatholicAdNet reaches millions of Catholic and family-friendly visitors per month. If you are targeting Catholic and family-friendly consumers then we have the audience you are looking for. CatholicAdNet offers real-time optimization and stats to maximize your ROI. We only serve Viewable ad impressisons and You only pay when your ad is able to be seen. Target your ads to an individual city, state, country or worldwide. Many Catholic and family-friendly sites have not accepted ads in the past. CPM/CPC based banner ad placements, dockable footer and mobile ad formats. generating high Return On Investment (ROI) from family friendly content.